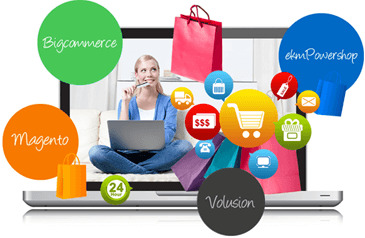 Technousa is one of the best offshore ecommerce web design and development companies with offices in India, US and UK. We build great-looking, user friendly ecommerce websites with rich functionality – give your customers an awesome shopping experience – reduce friction, increase online sales and boost your ROI. Raise the bar and outsmart your competitors. Technousa team is specialized in ecommerce web design & development – our ecommerce developers have hands on experience developing and delivering several ecommerce projects. We know inside out what it takes to build a high performance ecommerce website/online store. Technousa not only aims to deliver an awesome-looking ecommerce website - our team does UX analysis and makes sure that all the UX elements are in place and aligned with sales objectives - which include factors that make a great impact from sales point of view like user-friendly & relevant navigational paths, persuasive calls to action and messaging, add-on effects, products filtering, automatic cross-sell, up sell/related offerings feature, product comparison, zoomable product images, review and rating system and a lot more. The user interfaces are thoughtfully designed keeping users in mind. Smooth check out process and quick loading speed are also ensured. 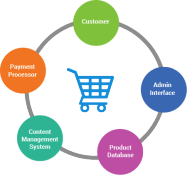 On the back-end front, depending on your budget, we load your ecommerce/online store with great features including performance dashboard, store management, order management system, crawler control, administrator management, meta data control, automatic up sell, cross sell or related products display, product comparison feature, newsletter management, intelligent search form and more. Our ecommerce development team is specialized in Custom Ecommerce Web & Mobile Application Development using PHP, ASP.NET or any other programming languages/frameworks. We also specialize in Magento, Prestashop, WordPress WooCommerce, Big Commerce, volusion, UCommerce, OSCommerce, Drupal Commerce, OpenCart, Shopify, Yahoo Store etc ecommerce development and can customize all these Ecommerce CMS to fit client needs. Our team has hands on experience in developing single brand & multi-brand ecommerce websites and also private sale and marketplace & auction portals. Avail our top-notch, cost-effective offshore custom ecommerce development service – click the button below to request project evaluation. Normal / Virtual Inventory - The Virtual Inventory solution integrates seamlessly into your existing web site and when potential customers search for specific products, those are automatically pulled from your partners and posted on your site. Analytics: You must measure it to manage it.